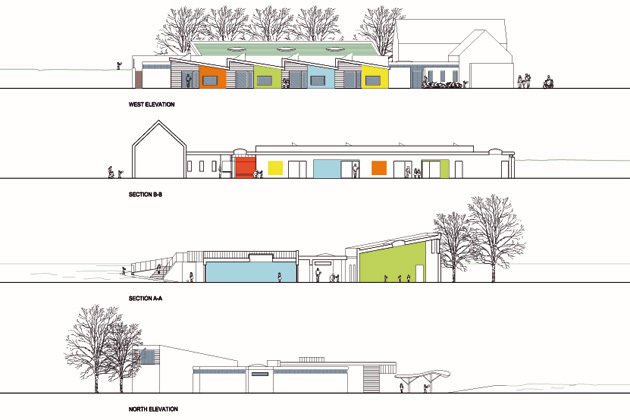 The plans called for quadrupling the size of the school by extending the existing Victorian structure. This presented a particular challenge on what is a restricted and sloping site. The extension would provide an additional four classrooms, a new hall, and associated ancillary spaces. 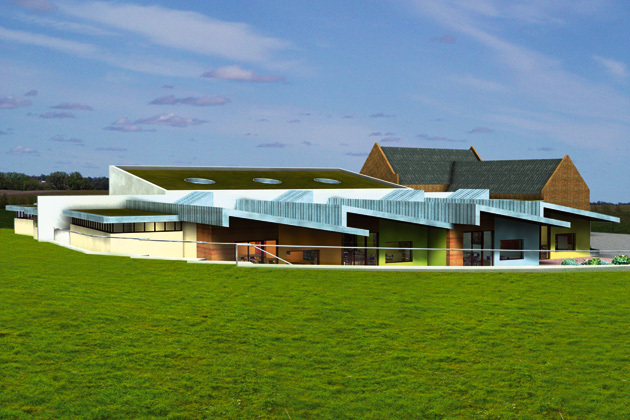 Our design concept called for a single storey building to be cut into the existing terrain, offering a sheltered and secure environment and giving classrooms direct access to outside areas, including the grounds and gardens. A central circulation space would allow children to gather freely for impromptu discussion or to display classroom projects. It could also be used as an extension of the classroom environment. A green roof was detailed into the design to blend into the background of trees on the adjacent site and to minimise the impact on the surrounding countryside. 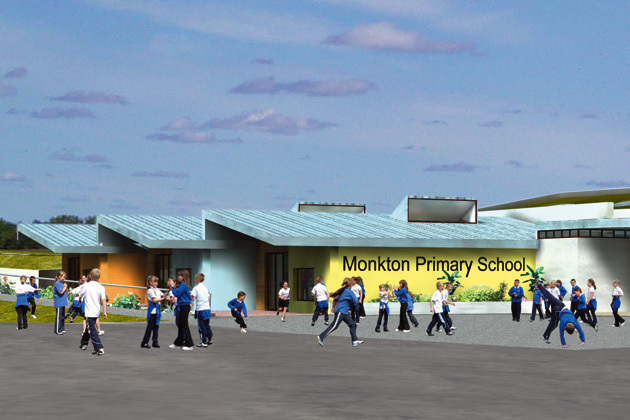 A key element of the proposed design concept was the careful programming of construction work to allow the school to continue operating within the existing building.